Using inspirational quotes on Twitter is a fast way to connect with others. They can help us be more relatable, particularly on a platform like Twitter where we are connecting constantly with ‘strangers’ and need a way to break the ice to start the conversation. Here are some of the reasons tweeting quotes helps you connect emotionally with your audience. Consider adding a couple of quotes per day to the information you share on Twitter. It can be just the thing that sparks the connection with another. Emotionally valuable, that is. Quotes can inspire, motivate, and entertain. Quotes can cover a variety of topics—it doesn’t have to be all business all the time. Be aware that the quotes you pick must speak to the people you’re trying to reach and need to convey the feelings and values that you and your business stand behind. If you’re a consultant working with executives, for example, consider sharing quotes related to leadership. 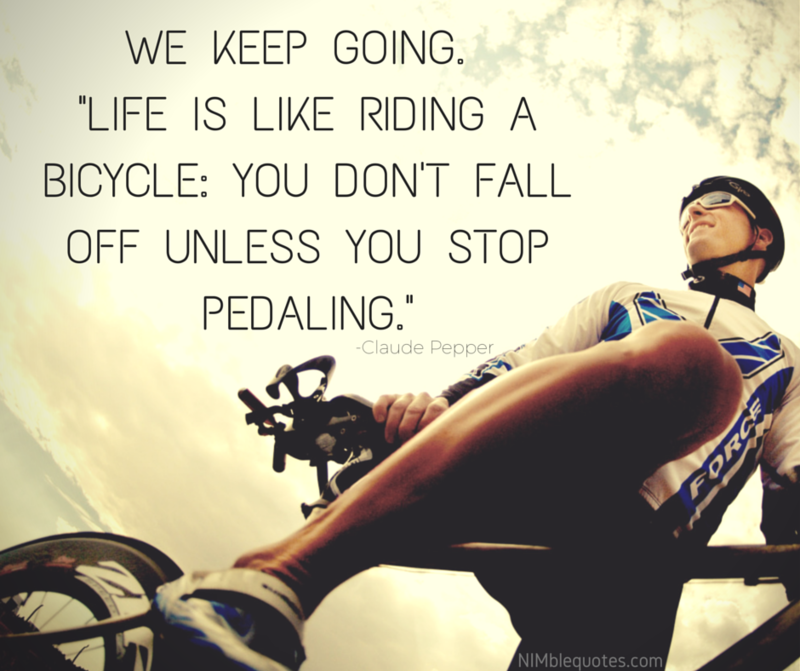 What is is about inspirational and motivational quotes? To us at Nimble Quotes, they really do feel like little statements of wisdom. They are here to help us push on, try just once more, go for it – particularly when we are tired, scared or feel a little defeated. What is it about a few words strung together in a way that has a positive knock-on effect the more it is shared? Who knows, but do take advantage of this wisdom. more you position yourself as someone knowledgeable in your industry, the more weight you’ll have with potential customers. Quoting famous business men or entrepreneurs can accomplish this, as well as quoting people who are known figures in your industry. If you have content that you want to share, like a blog article or a video, you can also pull a passage from your blog and use that as your quote. You can even quote your own company wisdom by sharing a quote by one of your company executives. Not just on Twitter, but take a look at any social network, listen to a business talk, attend a conference and guaranteed some one will be referencing a famous quote to make a point. The quote will be one or a few sentences which sum up exactly the point someone is trying to convey. We read it or hear it and nod or say “Yes! I get it, I know what you mean.” What a beautiful way to move from stranger to known and start the conversation. Let the quotes do the work for you. We’ve collected thousands of business-appropriate quotes you can add to your Twitter feed automatically. 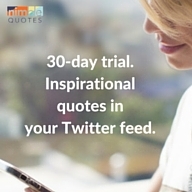 Check out NimbleQuotes.com for 30-days free and see what it feels like to have quotes added to your Twitter feed and be connecting daily with your followers. Over the course of my work, I’ve fielded a lot of questions about quotes and their use on Twitter. I thought I’d take the opportunity to share some of what I’ve learned with you so you can understand how quotes can help you build those Twitter relationships. Why should I tweet quotes? There’s a number of great reasons to tweet quotes, but I’m going to start with the most practical: If you seriously plan on increasing your social media presence, you’re going to need to tweet a lot of content. And it should be content that represents you/your brand well, and is helpful for your audience. Tweeting comes very easily to some people. They can come up with tweets at a snap of their fingers, but they probably have been doing it for a while and may already have a strong Twitter following. You, on the other hand, may not have that muscle yet, and need some help. Collecting and using quotes are a great way to share clever, insightful and funny thoughts with your followers. When sharing content on Twitter, it can’t be all about you. A good mix of content is helpful for your audience. I often use a cocktail party as an example. You wouldn’t just talk about yourself at a party, would you? No, you’d talk a bit about what you do, ask questions about what others did, share a joke, and talk about things that were of general interest to the group you were having a conversation with. You may even introduce someone into the group who just joined the party. You get the idea. Quotes are also helpful in breaking up the monotony of talking about work. There’s more to life than that! 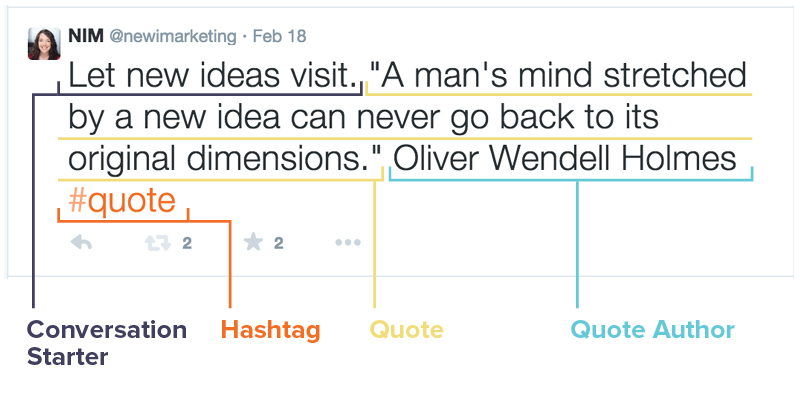 I’ve noticed (no stats on this yet, we’re working on it) that quotes get an enormous amount of engagement on Twitter. It’s like the quote is saying “we don’t need to talk business all the time.” It can give us an appropriate and safe way to connect with others online with out sharing too much too early. With a library of quotes, you can then have time to come up with content that is original, more artfully produced and more you. This helps you engage with people better online. Is there a right and wrong way to use quotes? Absolutely! For one thing, all of your quotes should be attributed to the person who said/wrote it. Tweeting another person’s statements/observations without attribution might appear like you’re taking credit for that person’s words. Your source might not appreciate that. And this is not exactly the impression you want to give to potential fans, clients and colleagues. There is absolutely nothing wrong with attributing a quote. In fact, it makes your tweet more powerful because of your source’s authenticity. Think about it: whose business quote is more impactful? 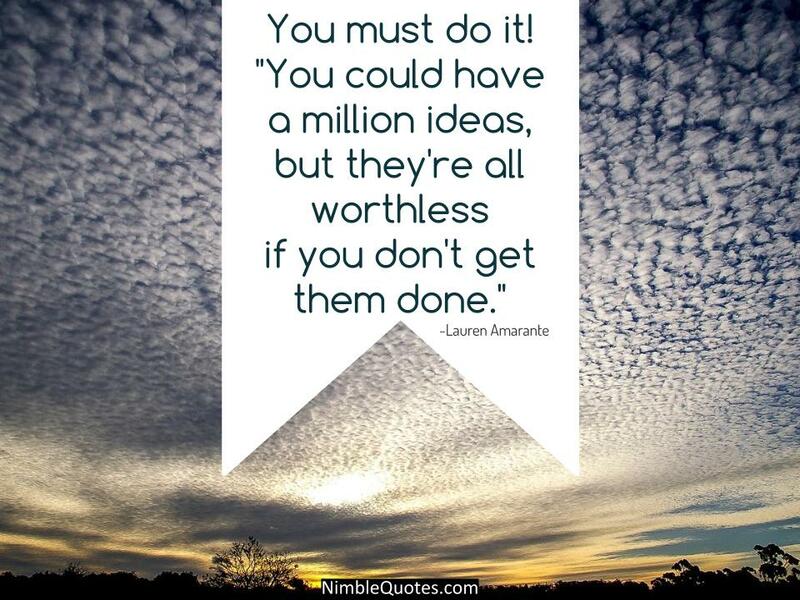 A random entrepreneur nobody’s heard of, or Henry Ford’s? The latter, for sure! Try to find quotes and categories of quotes that reflect who you are as a brand, a company, a person. This goes for both the message and the person saying it. Once you start looking for quotes, you may be as amazed, as I was, about the depth and breadth of quotes. All kinds of topics have fabulous quotes. There are hundreds if not thousands of quotes about business alone, not to mention sales, entrepreneurship and real estate. The quote itself should communicate the same ideals and values that you yourself treasure. Hard work, integrity, dedication, etc. You may even find quotes that say what you always wanted to say but could never find the right words. You can also use quotes that express your personality: funny, irreverent, or upbeat. The quote’s source should also be someone you respect. Just a few weeks ago Donald Trump made himself a public spectacle, and as a result many people (myself included) would now rather not quote him at all. Where do I find good quotes? There are a lot of places where you can find great quotes online. Wikiquote is a publicly available database of crowdsourced quotes (meaning anyone can add to the database). One danger of that though is that because it’s crowdsourced, it’s hard to tell if the quote is attributed to the right person. Brainyquote is another great database. Each quote listed there has a share button that makes it easy for you to post it on your social media feed. And there’s Nimble Quotes, of course. What differentiates Nimble Quotes from the other two is that you decide which genre and categories of quotes you want, and we do all the tweeting for you based on a schedule that you pick. No manual tweeting! Sounds good? Take it for a test drive! What is Nimble Quotes, or what are Nimble Quotes….just explain! Think content as a service. A simple and personalized service to keep your Twitter account continuously active with engaging content. Our quotes are a bit different than many of the quotes you may find on social media. We ensure that each quote “author” (the person who wrote or said the quote) is attributed. We add a conversation starter to each quote. We add a hashtag to each quote. The service gives you control and personalization of days, times, quote categories and much more. Once set, your Nimble Quotes appear continuously based on your chosen settings. No need to reload or reschedule a thing. What if I want to stop the quotes? Joining in on a Tweet Chat or starting to live tweet from an event? You don’t want Nimble Quotes interrupting your conversation. Simply log in to Nimble Quotes and hit the Pause button. Your Nimble Quotes will stop until you log in and hit “Resume”. How do you find the quotes? We have a team of Canadian researchers who search for publicly available quotes. Our quotes are not promotional and carry no advertising. They are vetted for quality and content. These quotes are secular without a partisan, political or religious point of view and are free of questionable, controversial or offensive material. Try Nimble Quotes today. Are all the quotes “inspirational”? Our largest category, and default category is inspirational quotes. We also have specific categories of quotes on/about: Sales, Business, Books/Authors, Entrepreneurship, Fitness/Health, Leadership, Investing, Real Estate, Girl Power… about 30+ categories with more being added all the time. Choose one, a few, or all categories – whatever works for you and your strategy for sharing information on Twitter. Is there really no software to learn? No software to learn. If you can check off items on a “to do” list, you can use Nimble Quotes, it really is that easy. Just log in with Twitter, check off the time zone, days, times, and quote categories you want and you’re done. Come back at any time to adjust or change your settings. Change your setting as many times as you like. How do the quotes engage my followers? Quotes get an enormous amount of activity on Twitter. We consider engagement to be re-tweets, favorites, mentions and follows. People are touched by the wisdom, inspiration, motivation and comfort these words provide. Having quotes in your Twitter stream, in addition to the other content you share, can be an effective first step to breaking the ice, connecting and attracting people you’d like to know, learn from and perhaps, do business with. Give Nimble Quotes a try now. Sometimes an author, being human, may get into a scandal or a negative situation. We’ve got your back when it comes to this content. We simply suspend from our database, any quotes from authors that get into this type of situation. Learn more about Content Watch. What does Author Choice mean? You choose who gets to show up in your Twitter feed and who doesn’t. Many users told us that they loved quotes, except from 1 or 2 specific people. Was there a way to exclude quotes from those people ever appearing in their Twitter stream? Yes. That is what “Author Choice” does. Select, or rather, exclude those few people you DON’T want quotes from. They’ll never appear in your Twitter stream. Like all Nimble Quotes settings – adjust and change this option any time you want. Learn more about Author Choice. The purpose of Nimble Quotes is to help you get into the conversation. We’ve listened on Twitter and have found the most common hashtags used when talking about each quote category. We’ve selected the most common hashtags for each category and made those the “default hashtags’. For example, if you chose the Sales Quotes category, the default hashtags that would be tweeted with each sales quote would be #sales, or #sell or #selling, (we include one hashtag per quote) as an example. You always have the choice to use only your custom hashtags, or a blend of the default hashtags and your hashtags. You can switch these settings at any time. Our custom subscription is all about you. Have your own quotes or own content you’d like to share continuously on Twitter? Learn more about the Custom subscription and contact us for a conversation on how we can get your content into the Nimble Quotes system. Social media teams like this as it lets them concentrate on customer service, community building and content creation. Your 30-day free trial is of the Advanced subscription complete with all the features and options for you to try out and personalize. To keep the same settings after your trial ends, you’ll want to buy the Advanced subscription. You’re looking at about $1/day for the Advanced subscription and about $1/week for the Basic subscription. Isn’t your time worth more than $1/day? At any time before the 30-day trial ends, log into your Nimble Quotes account and press “buy”. Choose a paid subscription (Basic or Advanced), enter your credit card details through our secure site, and you’re now a subscribed member to Nimble Quotes. If you don’t select a paid subscription before the 30-day trial ends, on day 31 your account converts to a Complimentary subscription (1 inspirational Nimble Quote / 24 hrs with no setting options, a link back to Nimble Quotes and our hashtag). You can upgrade to a Basic or Advanced subscription at any time to get your Nimble Quotes back to quote categories, custom hashtags and timing that makes most sense for your audience. 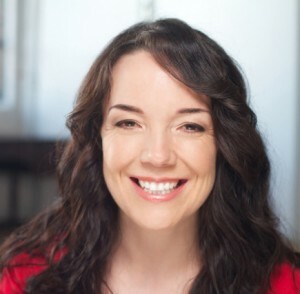 Nimble Quotes is a service from New Initiatives Marketing – led by Jennifer Kelly. Check out @jenkellyjen and @newimarketing for examples of what it looks like to have Nimble Quotes in your Twitter feed. What if my question hasn’t been answered on this FAQ? Email us at info[at]nimblequotes[dot]com or click on the help desk icon in the bottom right corner of the screen.